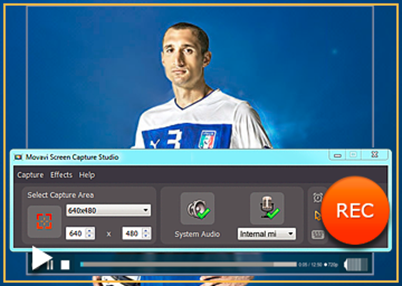 Want to Record Streaming Video Easily? This Software is All You Need! Home Software Want to Record Streaming Video Easily? This Software is All You Need! 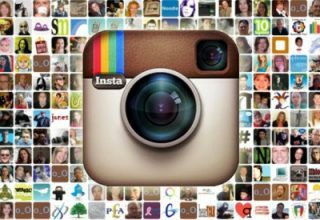 In the fast-paced age of internet today, there is a plethora of information available by means of videos. 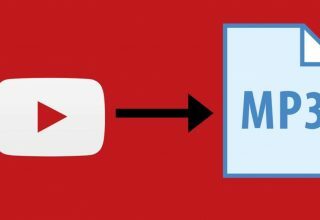 No matter whether it’s a YouTube clip or a TV show, you can learn, enjoy, and gain as much as you want just by watching your desired videos. However, there aren’t enough options when it comes to saving streaming videos. Why? Here’s the reason: majority of video sharing websites do not provide downloading options, and that makes watching top quality streamed videos quite difficult. 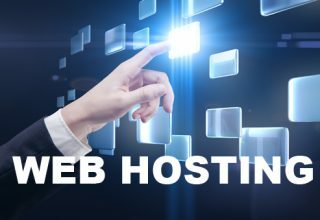 In addition, streaming video takes a lot of time to load, if your bandwidth is not adequate. So, how to record streaming video then? Movavi Screen Capture Studio is the hour of the need; it is the best software to capture online video as well as any sort of activity taking place on the screen of a computer. 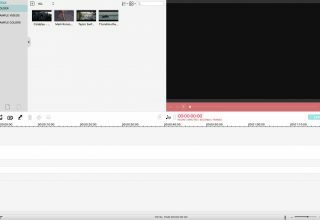 The software apparently allows you to record online video with no slowdowns whatsoever, and then copy the same to the hard drive of your computer in any desired format or to your desired mobile phone. 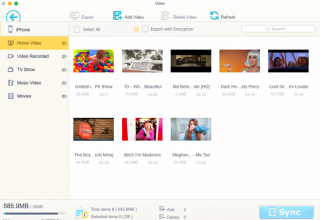 Movavi Screen Capture Studio—the real time video ripper—offers a great number of features backed by simple and smooth functionality. 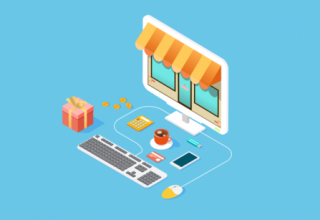 Let us see how to work with the features of the software. You first need to download the software, and then install it on your computer system successfully. 1. 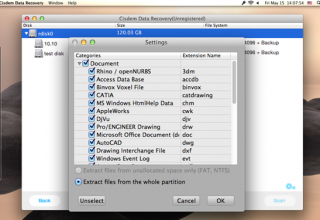 Work with the capture parameters: Launch the software after you have downloaded the same. First, a yellow frame displays that is used for marking the boundaries of the area being captured. Adjust the frame as per the size of the window of the Web video. To view and record the video at highest resolution, go to the list of size presets, and choose the name of your monitor in the Fullscreen section. Then, ensure to click the System Audio icon or option; it should have a green check mark over itself. 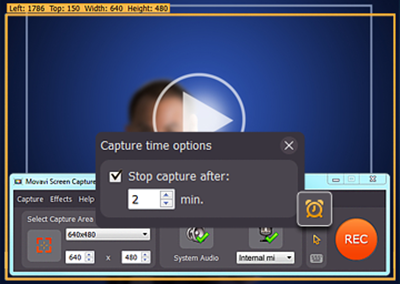 In addition, use the capture timer to stop recording video at a specific time, if you require leaving your computer for some time. Just click the timer icon, select the Stop capture after option, and select the requisite time duration. 2. 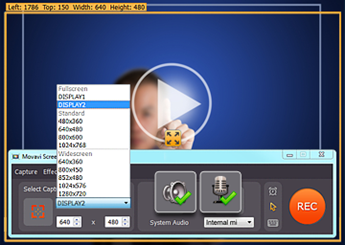 Record the desired video: Locate the red-colored REC button at the extreme right corner of the software window; it allows you to begin the screen video recording. Click the REC button and Play to watch the streaming video simultaneously. 3. Edit your recording: Click the Stop button once you have captured your desired video from the internet. There is a Preview window that enables you to have a look at the captured video. Click the Edit button to edit your recorded video, for instance, you can add a few artistic effects. Once you are done with the video editing, save the recording in your desired video format. You can also convert the same for your mobile phone right after you have stopped the screen capturing. 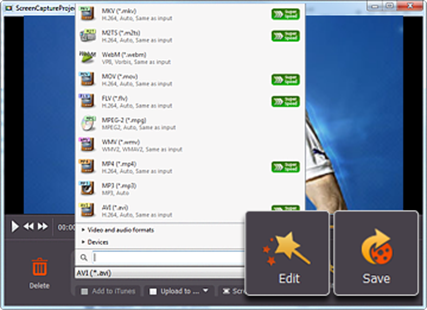 Select desired video format from the list of formats that include MP4, AVI, MKV, FLV, and many others, and also devices such as, Android, iPod, Sony PSP, Nokia, and others. Click the Save button to save your clip to the selected format. Movavi Screen Capture Studio allows you to capture streaming videos in no time. You get to edit your videos to make them more appealing. And, you can also convert them or save them to any format of your choice. In a nutshell, Movavi Screen Capture Studio is your best bet for capturing streaming videos.